Today’s post is brought to you by Testors paints. All opinions are my own. I’m so excited for today’s post because I’m sharing an amazing universal paint that have used for 20+ years for painting metal, glass, ceramics, plastics and more. It’s my little secret weapon for so many different types of projects! 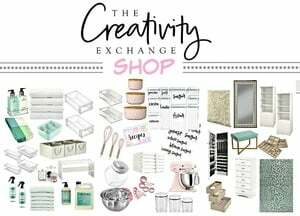 While I have mentioned Testors paints many times on the blog, I have never dedicated a whole post to sharing all the various ways that I use this paint around my home and what you can do with it. I first discovered Testors paints years ago when I needed to paint something on glass after trying several products that just didn’t work. I knew I had to have enamel for glass and I ran across these tiny cute little jars of paint in the model airplane/car section of the craft store. When I first tried the paint, I was thinking, if these little paints are durable and smooth enough finish for model airplanes/cars, I bet this paint would be perfect for glass. Turns out, the Testors enamels are perfect for glass and my love affair with these paints began! In my opinion, nothing comes remotely close to the durability and smooth finish like these amazing paints when it comes to glass, metals, ceramics, plastic and pretty much anything. If you’ve never tried these paints, today I’m walking you through what these paints are and tips/tricks for using them. 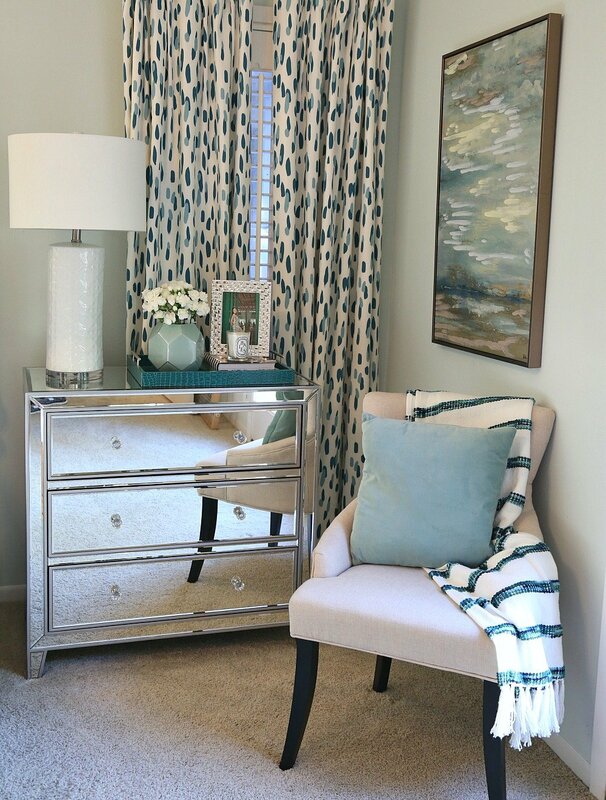 I never think twice when I see something like a mirror frame, trim piece on furniture or pretty much any decor that I don’t like the color/finish because I know I can change it with Testors paints and it will work. The paint is available in flat and gloss finishes and every color/metallic that you can imagine! Just to show you what I mean about what this paint can do, I recently bought these two mirrored nightstands for our bedroom remodel and I did not like the gold trim. However, I knew when I bought them that I would paint the trim silver with Testors and it would be perfect. Here’s a close up of the gold color on the trim. Here’s how the nightstand turned out after I painted the trim with Testors Chrome Silver. The nightstands were exactly what I wanted but we didn’t like the gold and wanted a silver color. I didn’t hesitate to buy them because I knew that the Testors enamel paint in silver would be perfect to use to paint the trim. 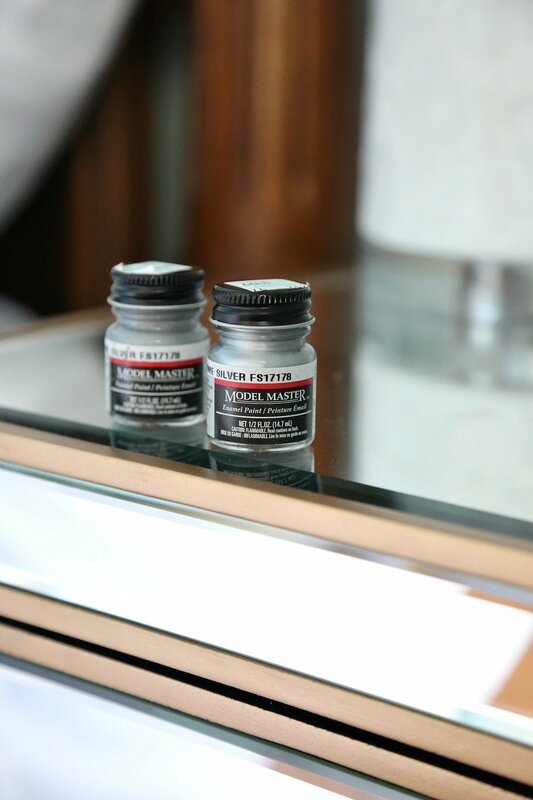 Another way that I use the Testors enamels is to quickly change the finish on furnishings like lamp bases, light fixtures or any type of metal hardware. 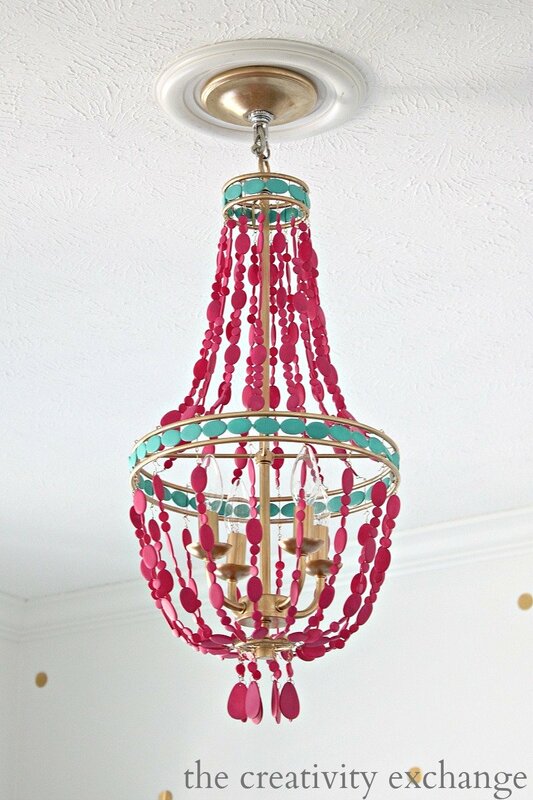 A few years ago when we were redecorating my daughter’s room, we transformed the metal on an inexpensive chandelier using Testors enamels in Gold. 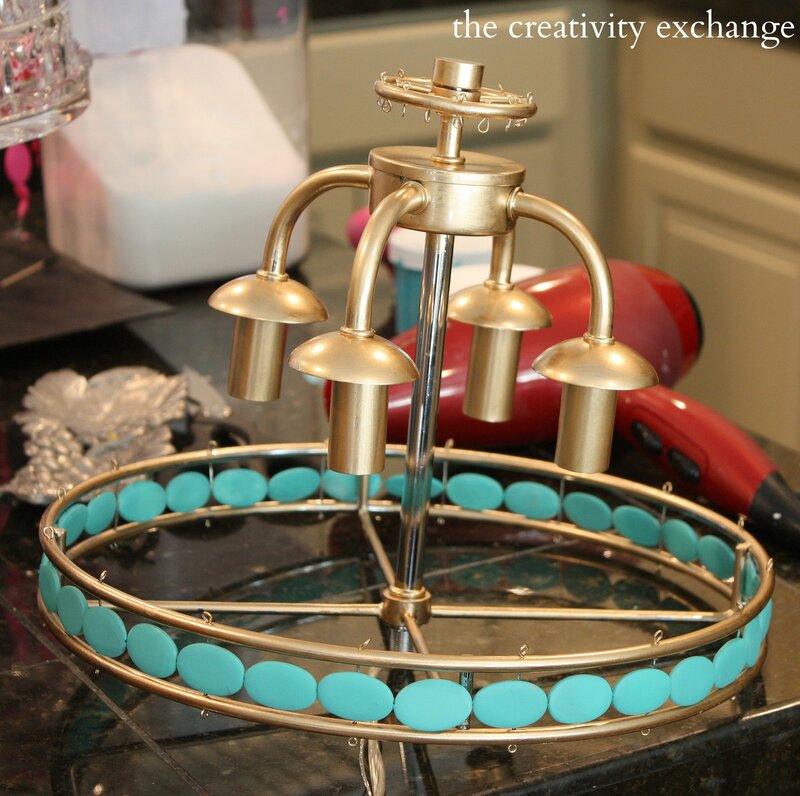 We wanted a pretty gold finish on the chandelier and below you can see that we painted the metal with Testors in gold. In my opinion, there’s no other gold paint on the market that looks as good as the Testors either in enamel or acrylic. 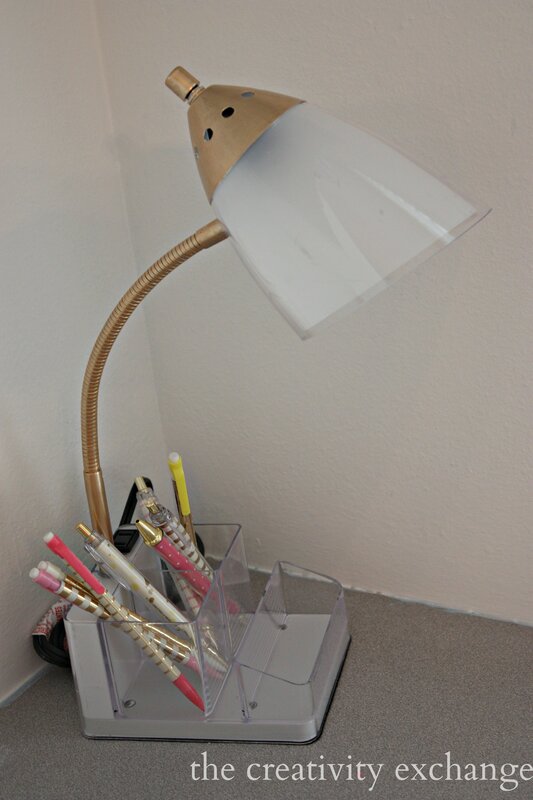 Also in my daughter’s room, we changed the finish on her desk lamp from silver to gold. 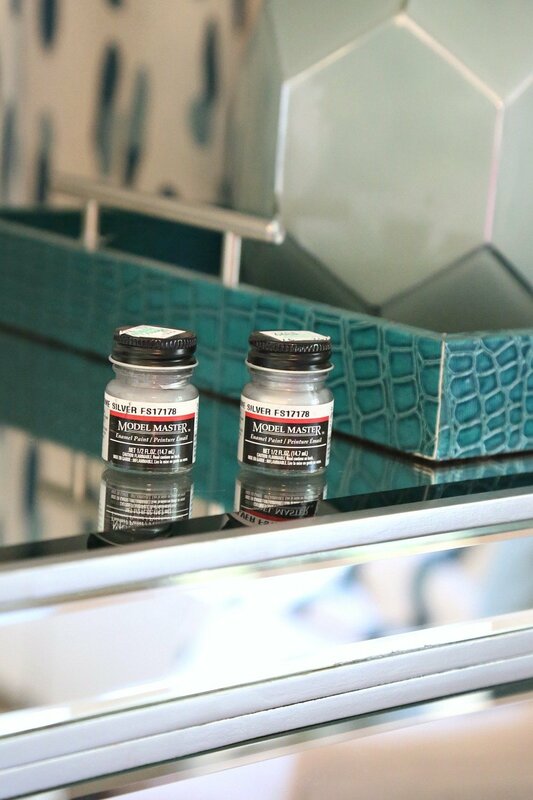 There are so many ways to use Testors enamels and acrylics around the house for quick updates, touch ups if you have a chip in a piece of furniture/decor or anything! 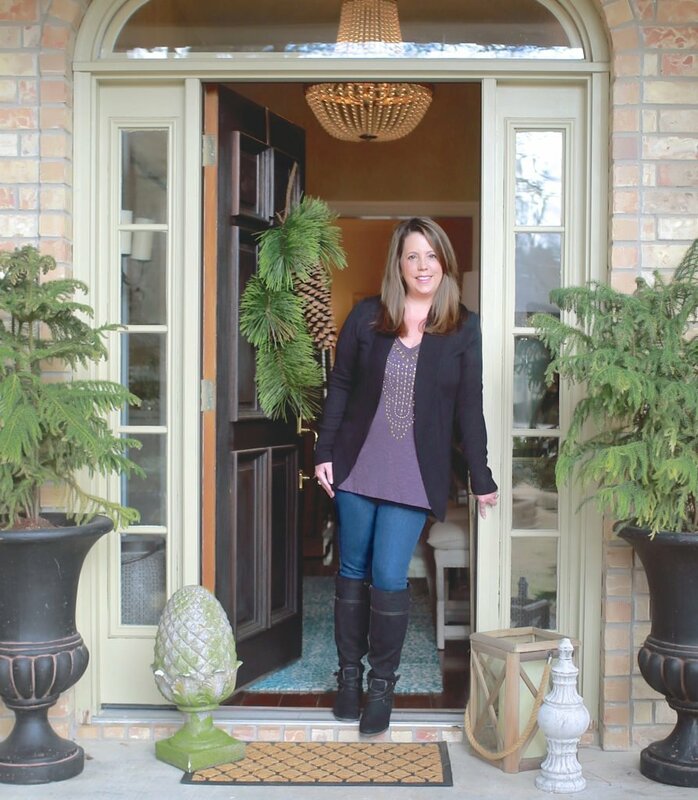 Over the years I have talked about paint on the blog, one of the questions that I receive the most is what paint ACTUALLY works and looks beautiful on both glass and ceramics. I have tried probably every glass/ceramic paint on the market and nothing comes even close to comparing to Testors. It’s important to note that all enamel paints take a full 24-48 hours to fully dry and 7-10 days to cure and become solid hard. 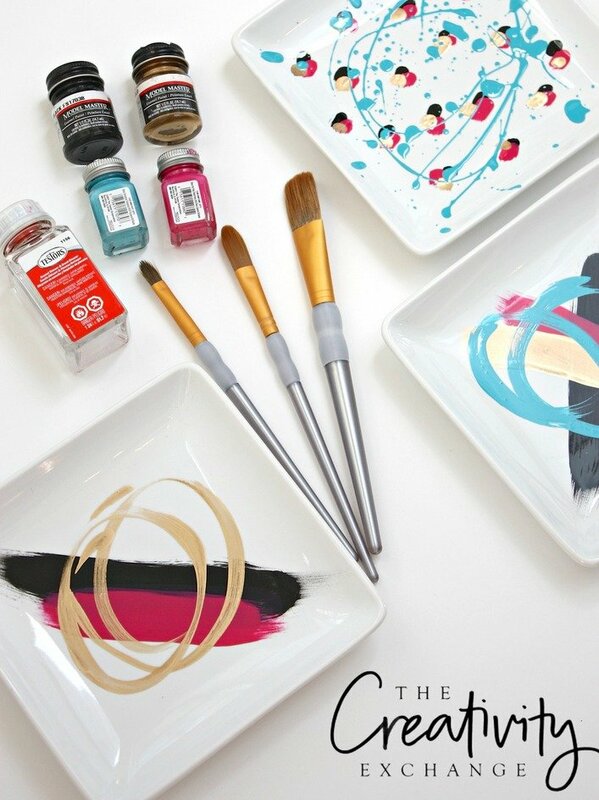 I wrote a detailed tutorial last year on how to use Testors paints on glass and ceramics here. There is some prep work you need to do and some important things to know. 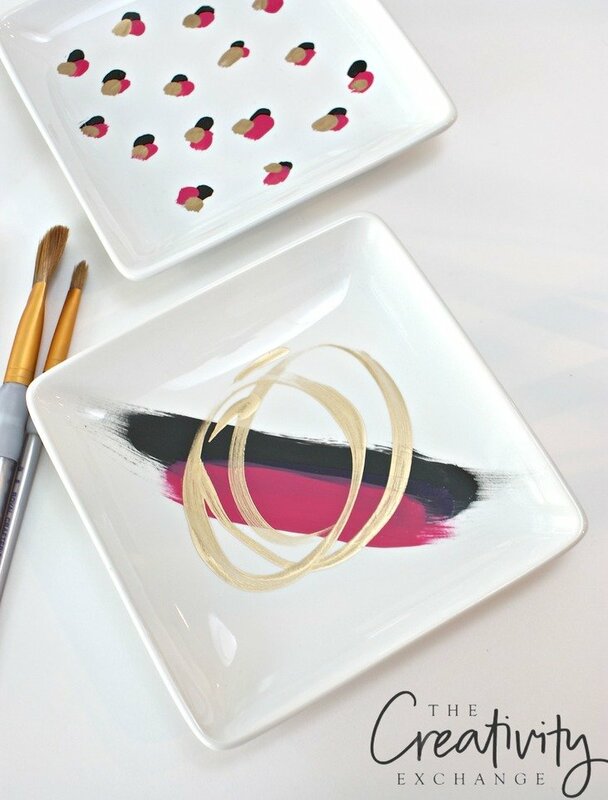 For that tutorial, I painted ceramic jewelry dishes to show exactly how to use Testors on glass/ceramics. Just look at that finish and the colors!! Testors has every color you can imagine plus, every metallic finish you can think of (brass, chrome, bronze, steel, gold, silver, etc.). 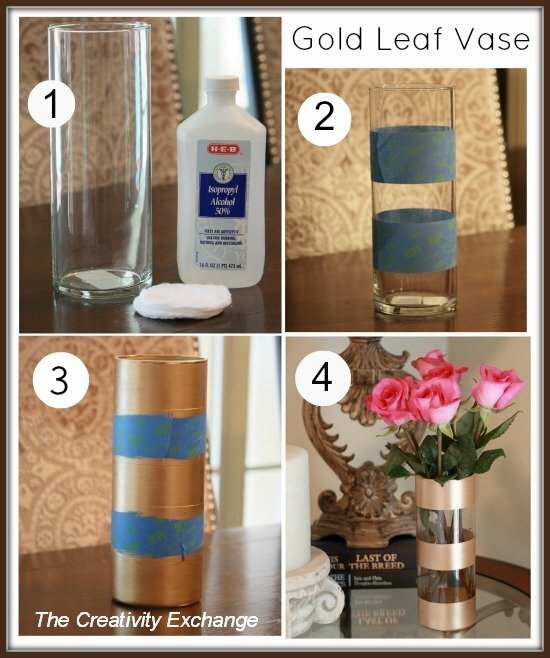 Painting on glass is so easy with these paints and I have painted just about everything you can think of with it and one of my favorite projects is painting vases with Testors paints. 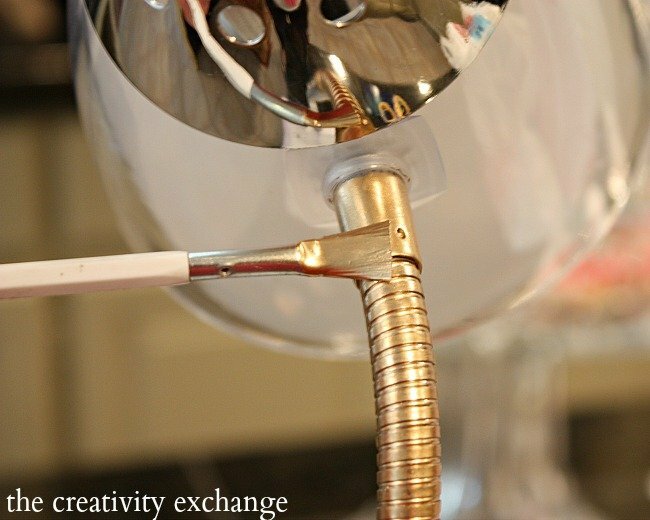 I showed you two metal paint projects above (lamp and chandelier) that I have done but there are so many other types of projects where you may need to paint metal. 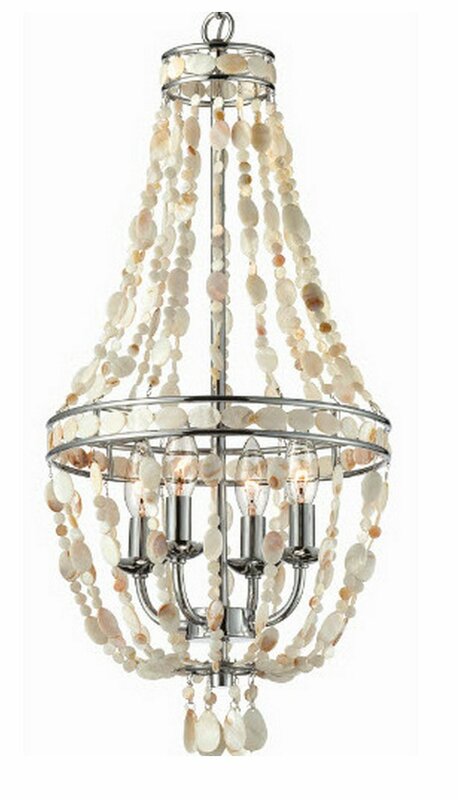 You can instantly change the color on things like metal candlesticks, fixtures, cabinet hardware and so much more and not have to worry with Testors paints about durability or if the finish will be smooth and pretty. 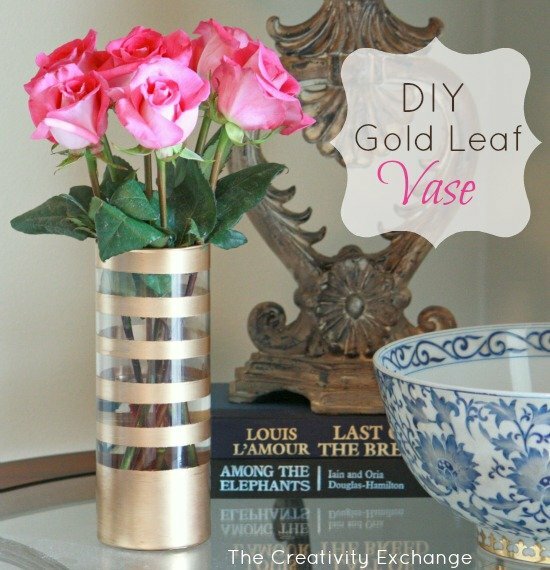 I also love to add gold to rough metal and getting a gold leaf look without the hard work of traditional gold leafing. 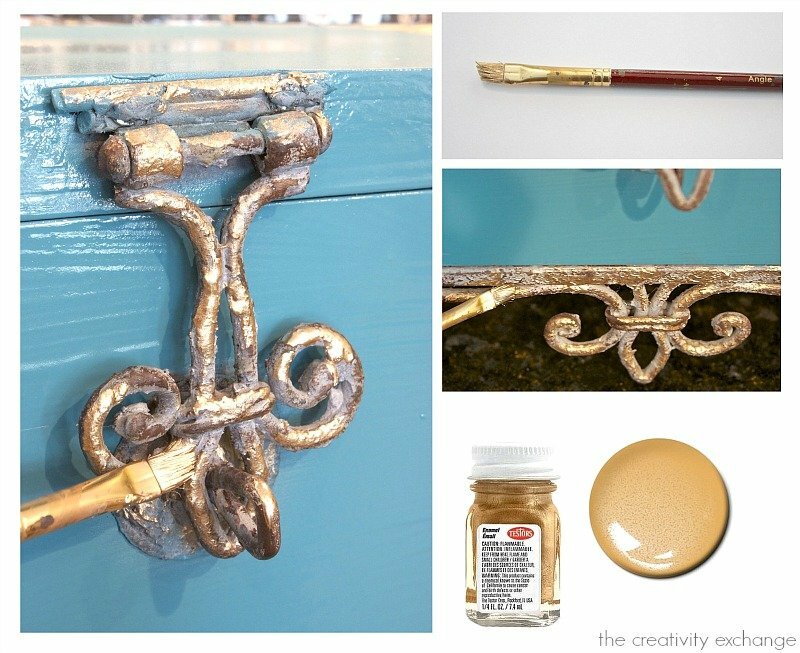 I shared here my little trick for getting that gold leaf look with this paint on metal. There is no prep work with painting metals with Testors paints either. You just need to make sure the metal is clean/dust free. The paint goes on like butter and is the smoothest paint you could ever find. Again, you do need to allow the enamel paint to dry 24-48 and 7-10 days to cure and harden. I also use the paints on metals as a rub. For example, if you have a piece of white iron/metal and you want just a hint of black or gold as an accent, just swipe the metal with paint on an old t-shirt and you’re done! Paints for plastic are another question that I receive a lot. Again, I prefer to use Testors enamels because of the durability and finish. Remember, Testors paints were initially designed for model cars/airplanes, which can be both plastic and metal. You won’t find a more durable plastic paint on the market! If you need to touch up something in your home that’s plastic or have a craft project that calls for painting plastic Testors enamels are ideal. All you need to do is wipe down the plastic with alcohol and then paint. I am so excited that Testors has come out with a line of paints for crafts, painting furniture and spray craft paints. When I heard that they were doing this, I got excited because the Testors/Model Master paints are so good! I have been playing with the craft paints these last few weeks and I LOVE them! I’ll be using them for my holiday decorating and sharing more projects using these paints the next couple weeks with you. You can look through here on the Testors website for all the new Testors Craft paint products/sprays. 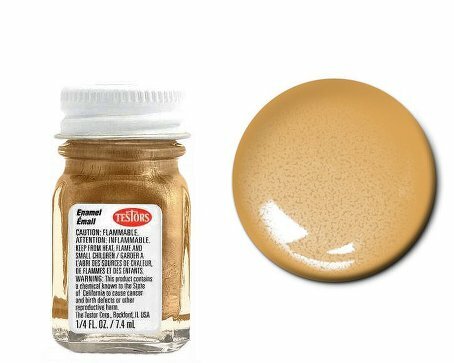 I hope you guys give these Testors paints a try next time you want to change a trim color, paint a lamp or frame. You will love it! 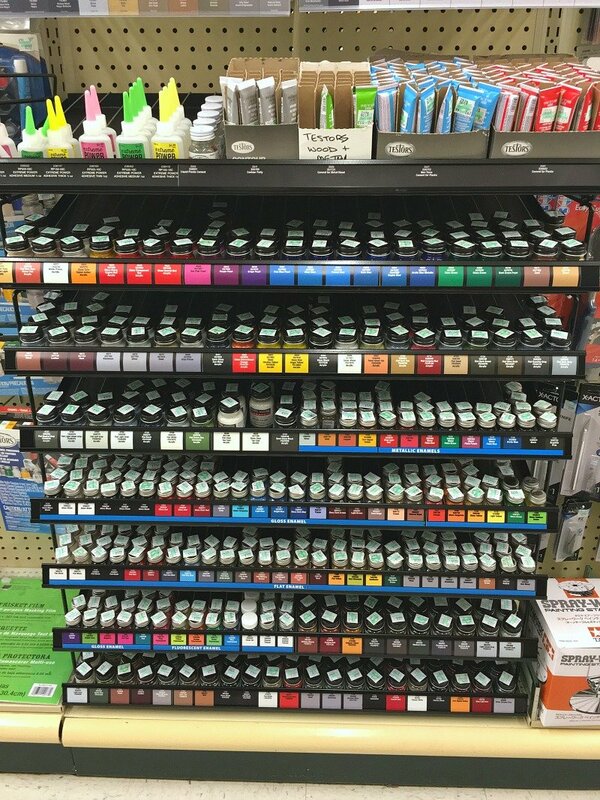 Paints are available at Hobby Lobby, Michael’s, Amazon and Target. OMG where is your mirrored dresser from! I have wanted to paint some plastic items around my house but I do not like to use spray paint. I can’t wait to try these paints. Thank you for sharing your ideas. What great ideas! I’m searching my house now to see what needs touch ups or new colors. Love your ideas. Thank you for this. Would this work on door knobs? I’m wondering about the heavy use a door knob gets. 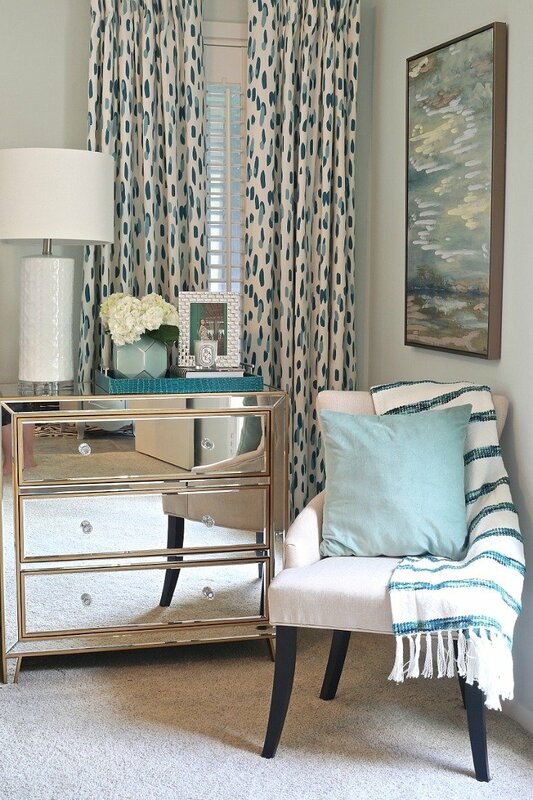 Do you mind sharing with me where your curtains are from in this picture? I love them! If I paint a porcelain plate and try to scratch the design or writing with my nail will it scratch off? I tried to do it and it scratched off to easily, only thing I can think of is that I didn’t prep it well enough or it’s just not scratch resistant. Did you let it cure for 8-10 days? Enamel paints will scratch until fully cured. I have even seen the Testors enamels cure as fast as 4 days. Good luck. Dresser is beautiful! I have spray painted some mason jars in white. I need to paint black strips on them. 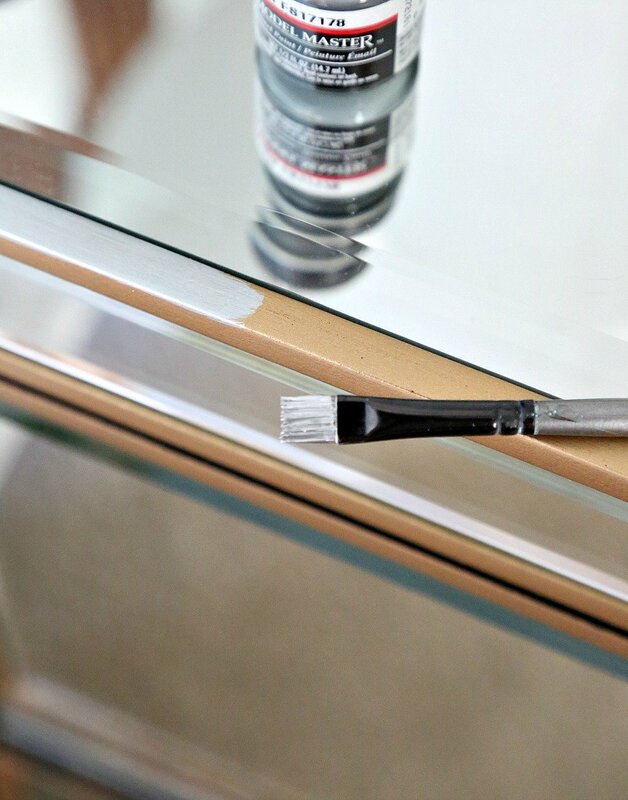 Have you ever used this paint on spray painted glass? I’m worried about bleeding. I also have a clear gloss top coat I want to use to give a shiny finish. I’m not sure if I should too coat before or after painting the strips again bleeding worries.